Detectives investigating the murder of Rotherham mum Alena Grlakova believe the clothes she was wearing on the night of her death are still be near the scene where her body was found. Det Chief Insp Mark Oughton said Alena’s naked body was ‘well concealed’ when it was found in a dried stream bed behind the Fitzwilliam Arms pub, Parkgate, Rotherham, a week ago. The detective said Alena – a mum-of-four – was wearing a distinctive black sweater with the words ‘little black sweat’ on them, black bottoms with white stripes down the side, black flip flops and hair extensions – all of which he said had been dumped in the area and were still ‘outstanding’. Det Chief Insp Mark Oughton said: “I do believe answers around what happened to Alena lie within the local community and I’d encourage people to keep speaking to us, if they have any information or concerns. Alena was last seen wearing a black top with 'Little Black Sweat' written on it. “Did you see Alena on Boxing Day 2018 in the Parkgate area? She was last seen leaving the Fitzwilliam Arms Hotel on Taylors Lane at 10.30pm that evening, walking towards Rawmarsh Hill. “Earlier that evening, at around 8.30pm, she was seen with a man on Scrooby Lane, walking towards Mangham Road, was that you? Were you with Alena that evening? “Have you seen Alena’s clothing? It may have been discarded in the local area. She was last seen wearing a thin black sweatshirt with ‘Little Black Sweat’ written on it in white, black tracksuit bottoms with white stripes down the side and black sliders. He said the area was searched when Alena was first reported missing in January, a review was then carried out, and it was searched again last week. Officers remained at the scene on Friday, searching for evidence and Alena’s clothing. 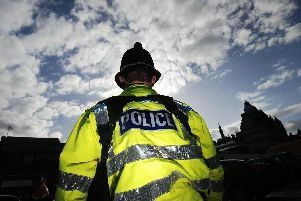 DCI Oughton added: “Between Boxing Day 2018 and Monday 8 April 2019, have you seen anything unusual or anyone acting suspiciously in the area? A 45-year-old man, arrested on suspicion of Alena’s murder has been bailed pending further enquiries. Anyone with any information should call police on 101, quoting incident number 453 of April 8 or call the incident room on 01709 443540.